You really want to learn how to play the ukulele but is unsure on what to purchase? Before I give you some recommendations, here are some friendly tips to narrow down your choice. First thing for you to do is to borrow your friends ukulele. For beginners, you might want to just borrow for a while the ukulele from your coworker, family member or a friend. This will give you a grasp on what that instrument sounds like or should make you feel. You can borrow it for a week or 2 to try it out. You can also download some free online ukulele lesson book just to try if you will like to play the ukulele. If you find out that you really like to own one for yourself, then its time to consider your budget. This is important when choosing a ukulele since some ukes are really expensive and some ukes may not suit your level. First you might notice is that some ukes are just too expensive most especially if you are just a total beginner. Total beginner simply means that you don’t have any experience in playing mandolin, banjo, guitar, bass player and electric guitars. So it is understandable that each buyer wants to get their money’s worth. There are cheap ukes but you need to consider the playability and who is going to play. So with those in mind, let me start with the ukes around $50 to $200. With about $50, I can say that there are about some decent ukes in that amount. There is a good question raised to me before that asked why do we have to pay for more if there is already a good ukes for just the small amount of $50. As the items becomes more expensive, the ukuleles will later be built with a much solid material like mahogany wood instead of plastic or laminated wood. Just to clarify, that the better the material used—the better is the sound created. On how rare the wood used in the ukulele affects the price as well. There are even some expensive ukuleles have really fine details like pearl inlays and some are handmade. Like other all other items, you pay for craftmanship and better quality like clothes, shoes and handmade bags. As a newbie, you don’t have to pay a lot for a ukulele, cause generally it doesn’t mean that if the item is more expensive it is much better. Let me tell you why, for example the cheaper ukulele like the toy ukulele—some of those ukulele like those with prints of cartoon characters does not use a better material. In fact, it uses cheap materials and you are just paying the paint or print. I have listed here before the Ukulele that for me is the best for Beginners but before that, I just want to inform all that I personally have not played them at all but I am recommending it based from good reviews and recommendation from friends. First one is the Makala Dolphin Soprano Ukulele, this ukulele is the only ukulele that I would recommend for the price lower than $50. 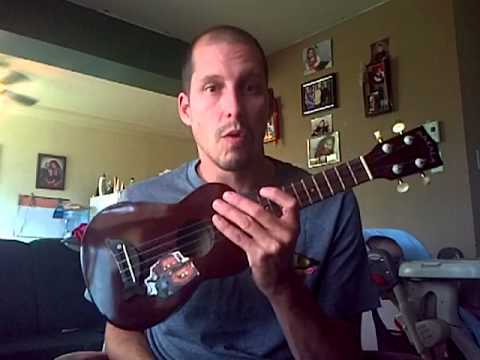 Although it is cheap, people anywhere is really looking for this eventhough it is made up of plastic this ukulele is surprisingly good in tone and playability. I just suggest that the buyer must do restringing to improve its quality more. This is the best ukulele for beginners. This is my most recommended ukulele online for people with tight budget and for beginners. Aside from that, this ukulele is available in various colors like purple, green, yellow, pink, blue, metallic blue, light blue, black, pearl white, and red. Second one is the Lanikai LU-21 Soprano Ukulele. This ukulele is a better pick for people who don’t like plastic ukulele. This ukulele is made of laminated wood but has a look of a more expensive one. You will have to re-tune the strings most of the time especially if you play really hard. Also you don’t have a perfect pitch as you go up the neck of the fretboard when it comes from intonation. Thirdly is the Cordoba 15CM Concert Ukulele. I have included this ukulele because of its excellent reviews online. It is aesthetically good that has a mahogany body. It is larger tenor size but smaller than soprano size. Fourthly is the KALA KA-T Mahogany Tenor Ukulele. This is a good for people with larger hands or bigger fingers that finds soprano ukulele a bit hard to play since it is much smaller. Using a tenor Ukulele for me is much more comfortable because I have bigger fingers. Last one is the Lanikai S-T Solid Spruce Tenor Ukulele. This ukulele is made of high quality mahogany material. Using a very solid wood, this kind of ukulele gives superb sound. The tone is clear and crisp and the pitch is on point. Although it uses a solid material it is still not too expensive. Now that I have showed you my recommended beginners ukulele, I hope I helped you make the right choice. I’m Leo from California. I’m a husband and father of 2 kids here in Florida. I got fascinated with ukulele since 2002 and been playing one since then.